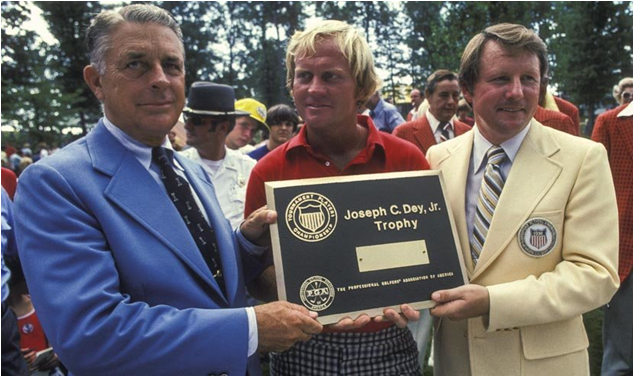 “The Players” Championship has been around since 1974. It sports the biggest purse of any PGA (or any other global golf association) event. In 2015, $10 million will be parceled out amongst up to 75 finishers. Last year, even second-place Jim Furyk made over $1 million (winner Martin Kaymer won $1.8 million). Money is one thing, but there is a another reason The Players is known as the unofficial fifth major: the field – the top 50 golfers in the world per the current rankings headline the tournament. In it’s 40 years (not including 2015), only six golfers have won the trophy more than once, with Jack Nicklaus at the top hoisting it thrice. It makes sense if you lump the top 50 golfers in the world into a tournament field, you’ll wind up with a closely contested event most of the time. Such is the case with The Players Championship. In 40 years, the winner has taken it by two strokes or less 27 times (a little more than two-thirds of the time). Only 13 golfers have won by three or more – including Davis Love III, the only player to have such a margin of victory twice. At the top, though, is one man. 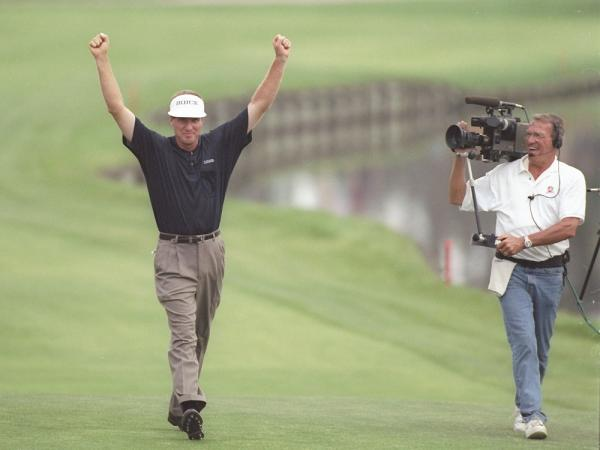 In 1997, Steve Elkington beat Scott Hoch by seven. We’ll check out all the multiple winners of The Players Championship, tomorrow.